Symphalangus syndactylus (Primates: Hylobatidae) also known as Siamang, is the largest gibbon species found in Southeast Asia. Hoya coronaria Blume gets its species name from the Latin word “coronaria” meaning crown because of the resemblance of its flower to a crown. 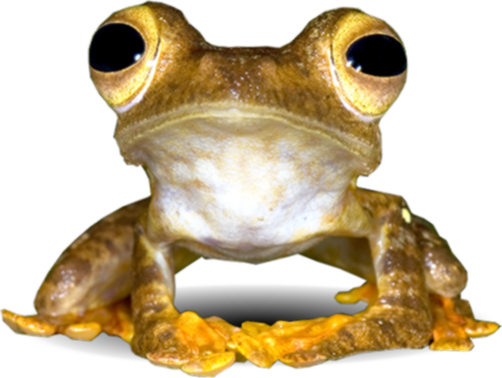 Amolops larutensis, commonly called the Larut Hill Cascade Frog or Larut Torrent Frog, is named after Bukit Larut and was described by G.A. Boulenger in 1899. The White-rumped Shama (Kittacincla malabarica), also known as murai batu, is one of the most popular birds because of its beautiful melodious songs and long beautiful tails. Abavorana luctuosa, also known as Mahogany Frog or Purple Frog is one of many amphibians found in Malaysia. Geostachys tahanensis is a small-sized ginger described by R.E. Holttum in 1950 (Holttum, 1950). Ixonanthes icosandra is a common tree in Malaysian forests. The genus Ixonanthes was described by William Jack, a Scottish botanist, in 1822 based on the two species, I. reticulata and I. icosandra. The largest species in the deer family (Cervidae), Rusa unicolor is commonly known as Sambar or Sambar Deer (Leslie, 2011). It is also the most widely sighted species in the world. Dipterocarpus lamellatus is one of the rarest and most endangered of all dipterocarps (Ashton, 2004). Brucea javanica is a shrub to spindly tree that can reach up to 10 m tall. Trachemys scripta elegans is a turtle species belonging to the family Emydidae. The Asian Elephant, Elephas maximus or gajah in Malay, occurs in both Peninsular Malaysia and Sabah but is not found in Sarawak. Catharanthus roseus is commonly known as Madagascar Periwinkle or Rosy Periwinkle. In India, Phallus indusiatus was reported to grow best at temperatures of between 21 degree Celcius to 25 degree Celcius in moist bamboo thickets at 300 - 600 m a.s.l. with 45 - 85% relative humidity (Dash et al., 2010).